61. BENJAMIN,3 b. (1686). Living 1734; perh. m. HANNAH DAGGETT (31), by whom he had a dau. Lydia. 64. PRISCILLA, b. Jan. 1691; m. (1) JAMES MILLIKEN 25 Oct. 1718; (2) HENRY BUTLER (19) 30 Dec. 1747. 66. MATTHEW, b. 22 Apr. 1696. 67. ZACCHEUS, b. (1699); living 1734. 911. JABEZ, b. 16 Oct. 1714. 913. HANNAH, b. 1720; m. ISAAC NORTON (416) 25 Nov. 1736. 914. THANKFUL, b. 1722; m. JAMES COTTLE (35). 917. AVIS, b. 1732; d. Oct. 1785, unm. 922. ELISHA, bapt. 10 Aug. 1740, res. E. ; rem. to Newport 1768. He m. SARAH SPOONER, dau. of Benjamin and Sarah (Hunt) Spooner, who was b. 5 Aug. 1765 and d. 1 Feb. 1868. He d. Oct. 1808. 923. MIRIAM, bapt. 26 Apr. 1741; m. THOMAS VINCENT (24) 12 Dec. 1765. 924. LOT, bapt. 10 July 1743. 925. BENJAMIN, bapt. 11 Aug. 1745; d. y. 926. NOAH, bapt. 8 May 1748. 927. (JANE), b. 1750; m. DAVID REYNOLDS 2 Apr. 1767. 930. SHUBAEL,4 bapt. 17 Apr. 1726. 931. EUNICE, bapt. 17 Apr. 1726; Perh. m. THOMAS MANCHESTER, abt. 1757. 940. JANE,4 b. 25 July 1723; m. THOMAS VINCENT (24) 22 Nov. 1748. 941. MATTHEW, b. 18 Aug. 1725; d. bef. 1774, prob. unm. 942. ELIZABETH, b. 23 Mch. 1727; m. BENJAMIN COFFIN (37) 1 Sept. 1743. 943. HULDAH, b. 16 Apr. 1729. 944. DESIRE:, b. 10 July 1731; m. ROBERT ALLEN (75) 21 Dec. 1752. 945. BERIAH, b. 12 Jan. 1733-4. 946. JERUSHA, b. 8 July 1736; m. JOHN PEASE (321) 13 Jan. 1756. 947. LOIS, b. 20 Apr. 1739; m. WILLIAM PEASE (322) 28 Apr. 1757. 950. SUSANNA,5 bapt. 15 Aug. 1742; m. BETHUEL LUCE (251) 18 Oct. 1765. 951. URIAH, bapt. 3 June 1748; m. DINAH NORTON (973) 20 Apr. 1786; rem. to Vinalhaven, Me. bef. 1790. 952. STEPHEN, bapt. 5 May 1751. 960. ICHABOD,5 b. 16 Nov. 1737; m. HANNAH POTTER 26 Feb. 1764. 961. ELIJAH, b. 16 Feb. 1739. 962. DINAH, b. 14 Aug. 1742; m. _____ MITCHELL. 963. AARON, b. 11 Sept. 1744. 964. MARTHA, b. 24 Dec. 1746; m. JOSEPH NORTON (473). 965. ELIZABETH, bapt. 16 Apr. 1749; m. LEMUEL PEASE (316). 966. MALATIAH, bapt. 26 May 1751. 968. MARY, bapt. 11 June 1758. 969. PRISCILLA, bapt. 28 May 1760; m. EBENEZER MEAD. 972. LOVE, b. 1755; d. 3 Dec. 1843, unm. 973. DINAH, b. 1759; m. URIAH NORTON (951) 20 Apr.1786. 974. THOMAS MARTIN, b. 29 Feb. 1764. 975. BARTLETT, b. 1772; m. PRUDENCE BUTLER (194). 980. ABISHAI,5 b. (1754); m. MARY INGRAHAM. 985. DORCAS, b.1762; d. 1 Jan. 1814, unm. 986. PRINCE (Thomas), b. (1763). 987. THANKFUL, b. (1765); m. SILAS PERRY 1785. 990. ELIHU,5 b. (_____); m. FANNY BEALS. 1001. (Child), b. (_____); d. y. 1002. AGNES, b. (_____); m. ELIJAH NORTON (479a) 16 Oct. 1791. 1003. (Child), b. (_____) ; d. y. 1004. CHARLOTTE, b. (_____); m. HENRY BUTLER (162) 23 Sept. 1792. 1005. BETSEY, b. (_____) ; m. WILLIAM NORTON of Tiverton 1 Mch. 1794. 1006. OLIVER, b. 24 Feb. 1776; m. HARRIET HOLLEY (61) 17 Jan. 1805. 1007. LUCY, b. (_____); m. RICHARD FISHER (70). 1008. GEORGE, b. (_____) ; m. VELINA BUTLER (327) 1 Dec. 1807. 1009. CHARLES, b. 1793; d. 3 Apr. 1818. 1010. AGNES, b. 1798; d. 18 Apr. 1815. 1019. LOT, b. 1771; m. MARY RAWSON 9 Oct. 1803. 1020. SUSANNA, b. 12 Jan. 1779; m. DANIEL COLT 4 Apr. 1803. 1021. DEBORAH, b. 12 Oct. 1780; m. THOMAS DUNHAM (231) 1 June 1800. 1022. (Twin children), b. 20 Jan. 1782; d. y. 1023. THOMAS, b. Nov. 1784; m. LOUISA ADAMS (61) 26 Oct. 1806. 1024. RICHARD, b. 20 Jan. 1786; m. RACHEL C. PEASE (1060) 28 Deo. 1823; d. 2 Apr. 1826. 1025. LYDIA, b. 4 Jan. 1788; m. PETER NORTON (229) 22 Oct. 1809. 1026. VELINA, b. 25 Apr. 1790; m. MARSHALL LUCE (990) 6 Dec. 1812. 1027. BELINDA, b. 27 Apr. 1792; m. OLIVER CROSBY (52) 4 Mch. 1819. 1028. CLEMENT, b. 10 Aug. 1794; m. MARTHA PEASE (1053) 4 Nov. 1815; d. 24 Aug. 1846. 1029. PRUDENCE, b. 29 Sept. 1799; m. NATHAN JERNEGAN (34) 28 Nov. 1816. 1032. JANE, b. 1778; m. BENJAMIN LARRABEE 25 June 1801. 1034. PHINEAS, bapt. 9 June 1782; m. ABIGAIL ORCUTT. 1039. DAVID, b. 21 July 1797. 1040. HULDAH, b. 21 Oct. 1758; m. ENOCH COFFIN (87) 2 Mch. 1780. 1041. BARNE COSENS, b. 30 Apr. 1761; d. 9 May 1784, unm. 1042. MATTHEW, b. 9 Mch 1763; d. 26 Feb. 1807, unm. 1043. ZORAIDA, b. 30 Apr. 1765; m. TIMOTHY COFFIN (43) 21 Aug. 1788. 1044. SARAH, b. 25 Sept. 1767; m. ELIHU MARCHANT (93) 20 Jan. 1796. 1045. OLIVE, b. 15 Dec. 1769; m. THOMAS MAYHEW (361) 3 Sept. 1795. 1046. FREDERIC, b. 9 Sept. 1771; d. 1793 at sea. 1047. MARY, b. 15 Oct. 1774; d. 23 Sept. 1781. 1048. ANN FRANCES, b. 9 Jan. 1777; d. 19 Dec. 1823, unm. 1050. BETSEY,6 bapt. 30 Aug. 1789. 1051. SUSAN, bapt. 4 July 1790. 1052. LYDIA, b. 18 July 1792. 1053. HANNAH, b. 14 Nov. 1793; m. FLAVEL BARTLETT. 1054. STEPHEN, b. 15 Mch. 1797. 1055. JOHN STEPHEN, b. 12 July 1799. 1060. ZADOC, b. 8 Feb. 1778. 1061. NABBY, b. 9 May 1780; m. ROSWELL CONVERSE (int. 11 Mch 1804). 1062. ELIJAH, b. 9 May 1782. 1063. ABIATHER, b. 13 Oct. 1784; d. 14 Jan. 1787. 1064. HANNAH, b. 10 Dec. 1786. 1065. MELINTHA, b. 24 Sept. 1788 ; d. 19 Dec. 1791. 1066. ALLEN, b. 2 Sept. 1790; m. MEHITABLE SEWALL (int. 2 Oet. 1812). 1067. FLETCHER, b.7 Aug. 1792; d. 2 Oct. 1792. 1068. FLETCHER, b.18 July 1794. 1069. JARVIS, b.12 Sept. 1796; d. 5 Mch. 1847. 1078. ADONIRAM, bapt. June 1786. 1080. (Child),6 b 1780; d. 1782. 1081. JERUSHA, b. (1783); m. LEMUEL CLARK 6 Nov. 1803. 1082. EDMUND, b. 1785; d. 1813 at sea. 1083. ELIJAH, b. 1789; d. 11 Dec. 1858. 1085. DANIEL, b. 25 Sept. 1796; m. HANNAH EARL. 1086. ZADOC [*Name changed to Francis Adlington by Act of Legislature.] b. 16 Dec. 1797; m. ABBY GREEN. 1090. SHUBAEL CLAGHORN, b. 27 May 1794; m. POLLY DAVIS NORTON 22 Sept 1816. 1091. THOMAS MARTIN, b. 10 Sept. 1796; m. ELIZA NORTON 6 May 1824. 1092. ARIEL, b. 19 Feb. 1799; m. CORDELIA VINCENT (192) 26 Aug. 1827. 1093. SUSAN, b. 13 Feb. 1802; m. (1) JONATHAN FISHER (119) 13 Feb. 1821; (2) PETER MARTIN COFFIN (203) 8 Sept. 1839. 1094. EDWARD, b. 22 Feb. 1805; m. (1) LUCY CLEVELAND (175) 20 Sept. 1829; (2) MARY WILLIAMS. 1095. NICHOLAS, b. 12 Sept. 1805; m. MARY M. JERNEGAN 21 Oct. 1832. 1100. NABBY,6 b. 5 Oct. 1777; m. HARLOW CROSBY (50) 17 Nov. 1816. 1101. MATTHEW, b. 28 July 1780; m. BETSEY W. CROSBY. 1102. ROBERT, b. (1783); d. in South Carolina. 1000. WILLIAM NORTON, (William,4 Phineas,3 Benjamin,2 Nicholas1), b. abt. 1759; res. E. He m. HANNAH DAGGETT (162) 26 Dec. 1782, Who was b. 1762 and d. 27 Nov. 1838. He d. 7 July 1807. 1110. FREEMAN,6 b. 9 Oct. 1783; m. MARY HOLMES (50) int. 3 Sept. 1808. 1111. AARON, b. 30 Dec. 1785; d. 18 Mch. 1830. 1112. REBECCA DAGGETT, bapt. 15 June 1788. 1113. MERCY, bapt. 17 Oct. 1790. 1114. HEBRON, b. Aug. 1792; d. y. 1115. SARAH, b. 1795; d. y. 3001. MOODY,6 b. Nov 1817; d. 9 Dec 1889 Montville ME; married Mary _____? 3002. SOPHRONIA, b. Nov 1819; d. 9 Nov 1853 Montville ME; married (1) Benjamin Sweet; (2) John Bagley. 3005. NOAH (F.? ), b. 1 Apr 1832; d. 21 Apr 1910; married to Mercy Gray EASTMAN. 3006. GEORGE W., b. 1835(? ); d. 1876 or 96 in Des Moines, IA; had a daughter Estelle. 3007. MARY ELIZABETH, b. 29 May 1837 Montville, ME; d. May 1907 Montville, ME; married (1) Mr. Rollins; (2) Philip P. Hastie. 3008. BENJAMIN F., b. 21 Oct 1842 Montville, ME; d. 17 Oct 1874 Montville, ME. 3009. MARGARET W., b. 16 Jan 1827; lived in Des Moines IA; married Mr. Campbell. Was a suffragette. 3021. JEREMIAH CROWELL, b. 6 June 1819. 3022. JANE WEST, b. 4 Apr 1821 in Edgartown (twin.) She m. Chilmark mariner JOSEPH THAXTER on 16 Mar 1845 in Edgartown, and they appear in the home of her parents in Edgartown in 1850. They had a child Jane M. Thaxter, b. 17 Jan 1849. She is also likely the Jane W. Thaxter, aged 47, who appears in the 1870 Edgartown census with children Annie W., 16, and Etta C., 9. 3023. HENRY D., b. 4 Apr 1821 (twin). He m. MARY A. BEETLE in Edgartown on 6 Jan 1848. He is called a "mariner" in his 1848 marriage record, and again in 1850, when he appears with his wife and daughter in the Edgartown home of Mary's parents. Their daughter Eusebia W. Norton was born on 7 Oct 1848 in Edgartown. 3027. DEBORAH A., b. 25 Feb 1833 in Edgartown. (Living with parents in Edgartown in 1850.) She m. Jeruel West on 1 Jan 1852 in Edgartown. For more information on this family, see #606 in Descendants of William West of Tisbury. [3021. JEREMIAH CROWELL NORTON (Shubael,6 Thomas Martin,5 Judah,4 Nicholas,3 Benjamin,2 Nicholas,1), b. 6 June 1819. He was the captain of a whaling ship that came to New Zealand mid 1800's. He sailed on the ship Cadmus, which left Fairhaven in 1841 and was lost in the Cadmus Islands 3 Aug 1842. He appears in the 1850 Edgartown census as a mariner living with his wife's family. He m. (1) Margaret Vincent on 6 Oct 1845 in Edgartown, who was born 2 Dec 1821 in Edgartown, the daughter of Edgartown butcher Matthew Vincent. 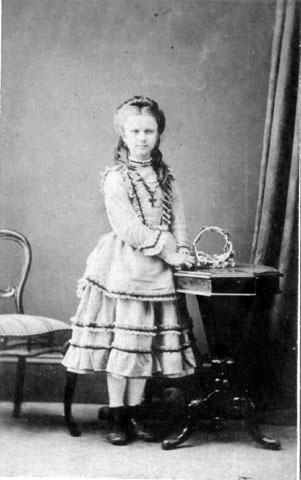 He m. (2) Anna Clara Simons on 5 July 1862 in Auckland NZ, who was b. 1842 in Essex, England. Jeremiah died at Parua Bay, Northland on the 31st August 1897. (Jim writes, "What I really want to know is what happened to Jeremiahs 1st wife Margaret Vincent. I have found a death entry for Margaret Norton which may have been his first wife (it's the only Margaret Norton I can find.) [Her death is reported in the 26 Jan 1872 issue of the Vineyard Gazette.] On the marriage certificate for him here he says he was a widower, is there a way of checking out if 1) it is her 2) were they divorced or 3) if Jeremiah just forgot he was married?") (In the 1870 Edgartown census, a Margaret S. Norton, aged 47, appears with Abbie H. Norton, aged 16, in the home of Nathaniel and Abigail Jernegan. 3030. ABBY, b. 14 Oct 1853 in Edgartown. She m.GEORGE NOLAN 1 Jan 1874 in Edgartown. (Jim writes, "I would like to find out if she died 29 July 1930, [whether she] had children, and if there are any descendants still in Martha's Vineyard, if there is a photo of her and if the family knew what happened to Jeremiah, (because I don't think the family here knew about her). ... It would be great to be able to perhaps reconnect the two branches of the family one day.") I could not find her in the 1860 census of Edgartown, but she is likely the Abbie H. Norton, aged 16, living with Margaret Norton in the home of Nathaniel and Abigail Jernegan. 3040. LOUISE EMMALINE, born 1863, married George Carey 1882. 3041. CORDELIA JANE, born 13 Aug 1864, married Henry James Hansen 20 Apr 1878 in Kawakawa, Northland. She d. 17 Apr 1946. 3042. 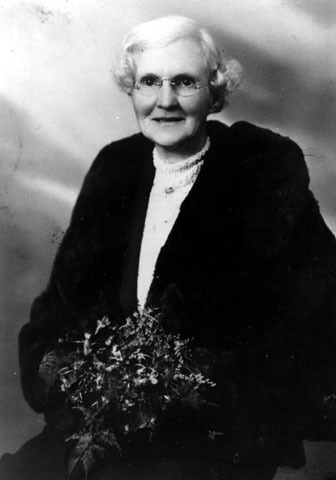 ANNE ELEANOR, born 1867, married (1)Thomas Callaghan 17 June 1884, Auckland and had 7 children, (2) James Henry McMasters (an American) and had two children. She died 2 Mar 1945 at Whangarei. 3043. THOMAS HENRY, born 1869, married (1) Ethel Anne Timperly (2) Mabel Laura Buckle. He died in 1952 in Whangarei. 3044. WILLIAM HENRY, born 1871. "Still looking for this branch." 3045. CATHERINE MARY, born 19 Apr 1872; "I think this child died early." 3046. EDWARD HUGH, born 24th May 1874 married (1) _____; married (2) Daisy Thomas. Contact Jim Callaghan <JimC@ahsl.co.nz> for more information about the descendants of Shubael and Jeremiah C. Norton.